Dr Arien’s Beauty of Being Workshop will teach you about some for longevity and Winter, making sense of natural food supplements, relaxation training & meditation techniques. Your ticket includes a 4-hour workshop facilitated by Dr Arien, refreshments, light lunch from Anri’s PlayFunFitness FitFood, creative material and goodie bag). Do, feel, think yourself happier and healthier! 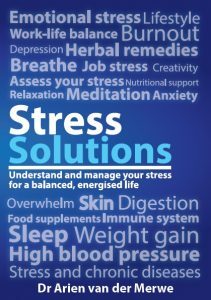 There is so much information and a huge variety of food supplements and herbal remedies everywhere. How do you choose?! Does it sometimes feel like you lost your zest for life? Do you want to do something different, learn something new, using practical principles of epigenetics, the new scientific buzz word? Is it all in the genes? Definitely not! You have the power to adjust whatever you inherited from your ancestors. It is not just about the genetic make-up that was passed on to you by your parents and grandparents but about how YOU affect this genetic information (known as epigenetics). Small changes may have far-reaching effects on your health. These changes are not only physical but mental, emotional and spiritual as well. What you think, feel and believe, ultimately impacts your health. For example, the wellbeing of one organ influences the optimal functioning of another and vice versa. In this workshop our focus will be on some of the smaller changes you can make for a high impact end result. Feel younger than you are! Your body will obey you, if you tell your cells a different story, with new biochemical messages, sending emotions of hope and healing to all your cells…. 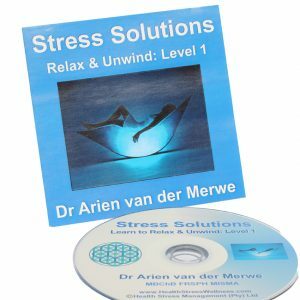 Join Dr Arien if you’re sick and tired of being sick and tired…or, if growing older scares you, there are more and more wrinkles, body aches and pains, your energy levels are low, or simply for a change of scenery while learning something interesting and new. Once you grasp this, it’s a short skip and a jump to positively influencing the health of all your cells . 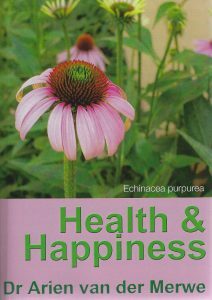 We’ll explore many ways of enhancing our inner physical, emotional and spiritual world for a happier, healthier, wholesome you.